Lady and the Blog → Personal Blog → Remember That Diabetes Test? Yeah, I Failed It. Remember That Diabetes Test? Yeah, I Failed It. I posted a video yesterday as soon as I got home from the doctor’s office because I had such a great visit. 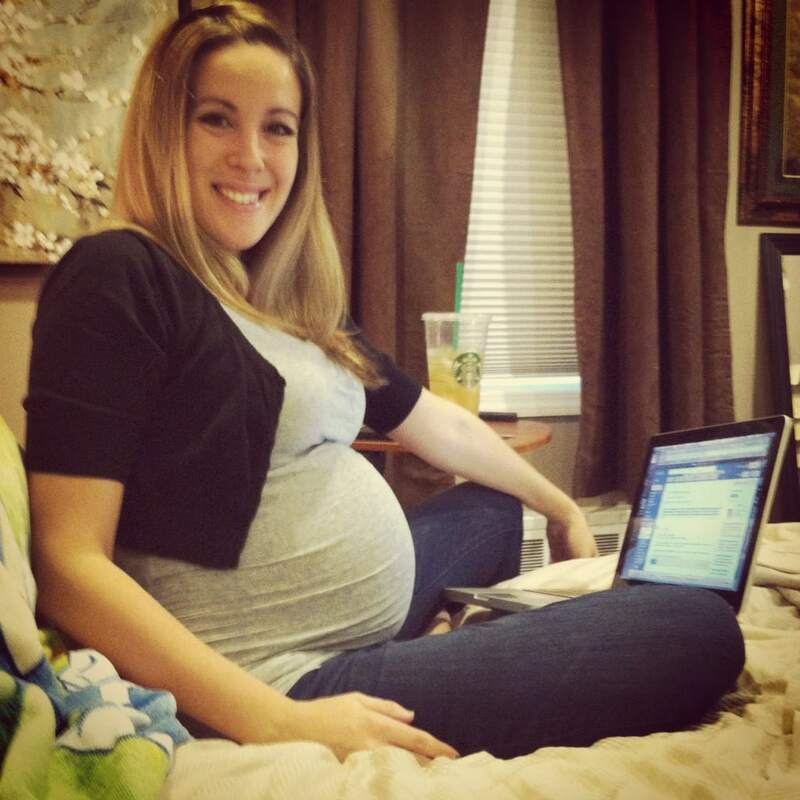 A few hours later, I got a call from the office letting me know I failed the gestational diabetes test. I’ve gained 16 pounds so far – which I think is right on target. Maybe I’m up to 17 at this point. I really don’t know. But it’s not about the weight gain. Diabetes runs in my family. My grandfather suffered from it – so it’s genetic. I’m a CARB QUEEN people. I don’t eat salad. I’m not that girl that can be satisfied with a grilled chicken salad. What is that??? Give me meat and potatoes any day of the week. I was supposed to go into the office on Friday for the fasting test but my doctor called back and told me to schedule after the holidays. She said she was more worried about pre-term labor than diabetes and that I could enjoy the holidays without having to start pricking my fingers. I appreciated that for sure! But even though I’m technically not checking my sugar levels YET, I have already started to adjust my diet. It was SO HARD this morning to not eat like a man. I had two slices of toast and some strawberries. 40 minutes later I was ravenous! It is going to take some adjusting – that’s for sure! I have to train myself to take it EASY. Bill is also going to have to do a supermarket run for nuts, cheese and meats. I need to start snacking on things other than carbs. Although fruit is ok of course. I just have to be careful with portion control. THIS IS SO HARD!!!!!!!!!!!!!!!!!!!!!!!!!!!!!! You don’t really realize what a portion size is until you HAVE TO. Sigh… Luckily for me, my aunt is a registered dietician and she is coming over tomorrow to help. She got me through Natalie’s pregnancy – so I am in good hands. Sorry about the failed test. Hopefully once you are all stocked up with the right supplies it won’t be as hard. On another note – look at that beautiful baby bump! 🙂 You look fabulous! Wishing you the best. It’s not easy having a complicated pregnancy! Yep I was GD with both girls too, and you can still have some carbs just not the whole meal. Good luck and you look fabulous!